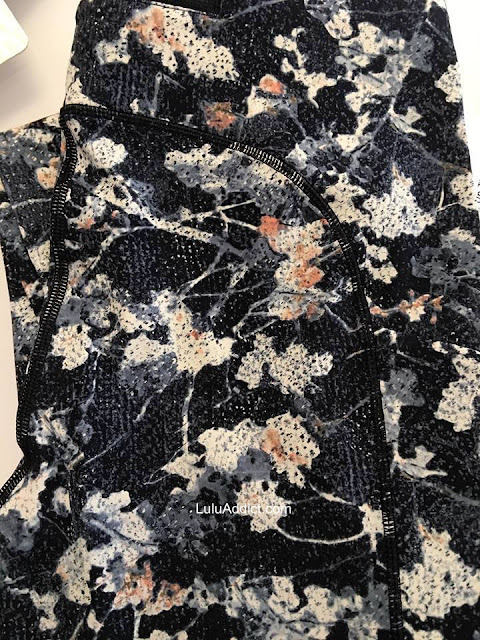 Some in-store photos of the new print, Spring Bloom Multi. I'm not sure why the code is UMMU. The new Braided Energy Bra. I tried to get a good real-life representation of the new Persian Red color. It's more brownish/orangish than I thought when photos first started popping up, definitely in tomato soup or brick red family. 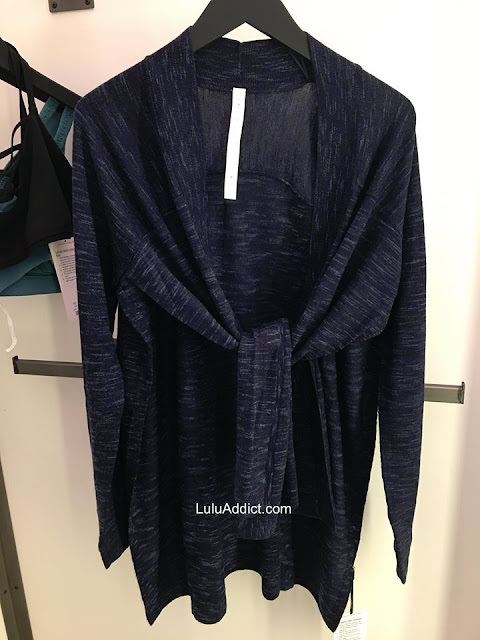 Side slit goes all the way to the armpit. And it's more of a gap than a slit. 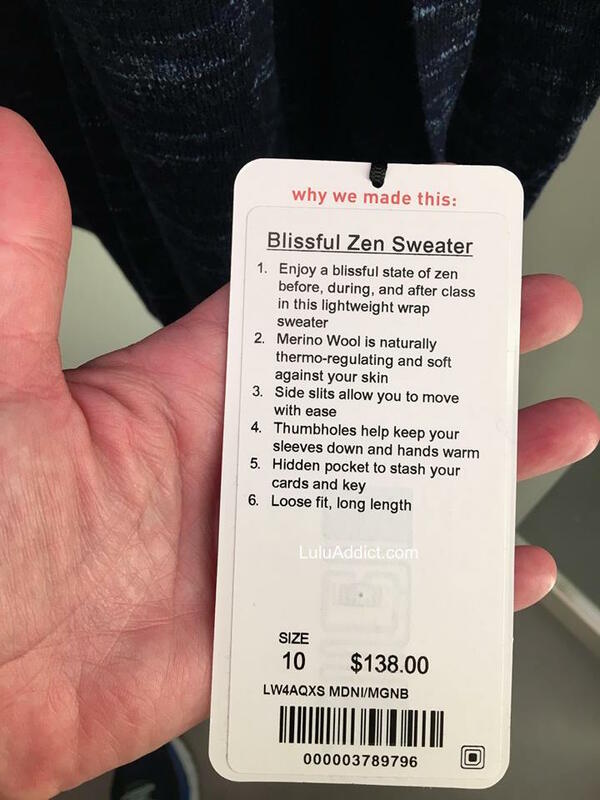 I really liked the Blissful Zen Sweater until I tried it on and found out it had the bizarre side gaps that went all the way up to the armpit. Such a bummer. 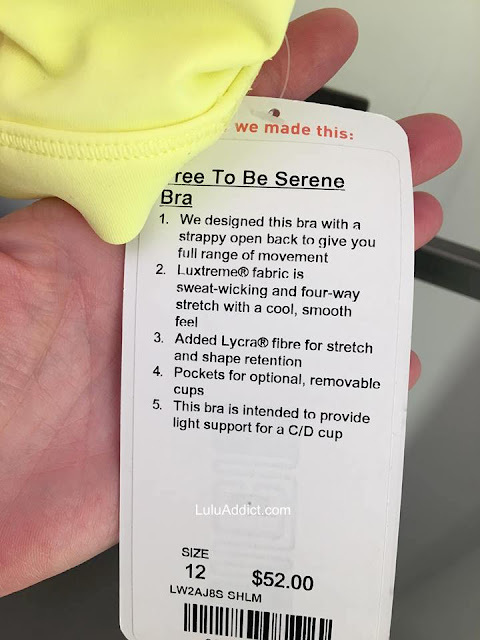 Really liked the Sheer Lemon FTBS bra. Loving the Spring Bloom Multi print! I just really wish they would put the print out in tanks. (I know they used it in the sculpt tank, but...) I wear only dark solid pants - that's just what I'm comfortable in - and I find it frustrating that they'll use something in numerous pants, crops and shorts but only one top! This past weekend, I googled an item I saw listed on eBay and an old page of LuluAddict came up - there were the loveliest things! 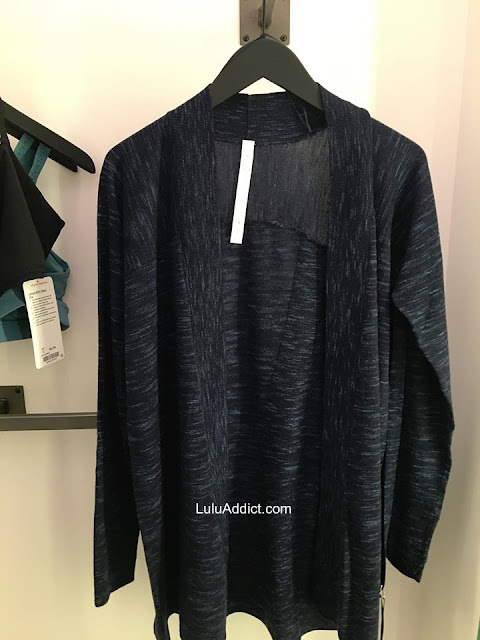 Wonderful colors and prints - it really made me sigh. Oh well. I hope they'll use it for other tanks - but I certainly won't be holding my breath. The Spring Bloom Print reads as camouflage to me in the first photo. I wish they would have used a little more of the pretty accent color in it. Thanks for the additional info on the Persian Red. 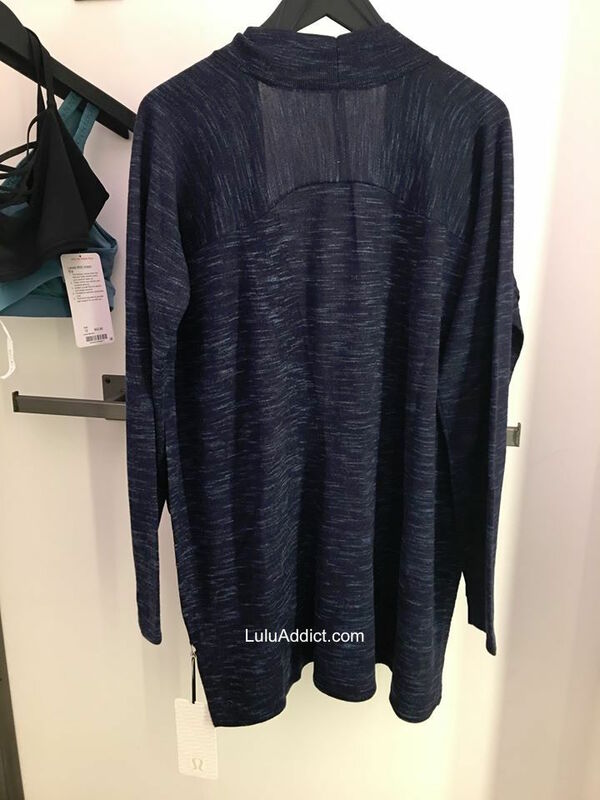 I am interested in that color for sure, just not in a bra. 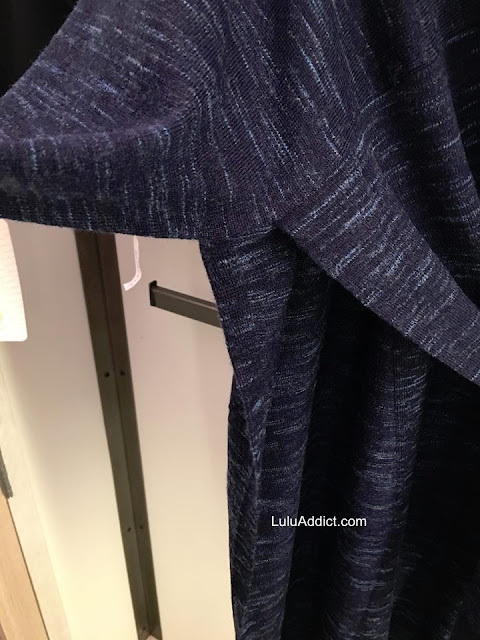 And the odd “up to the armpit” slit in the sweater I’m not sure why they did that. 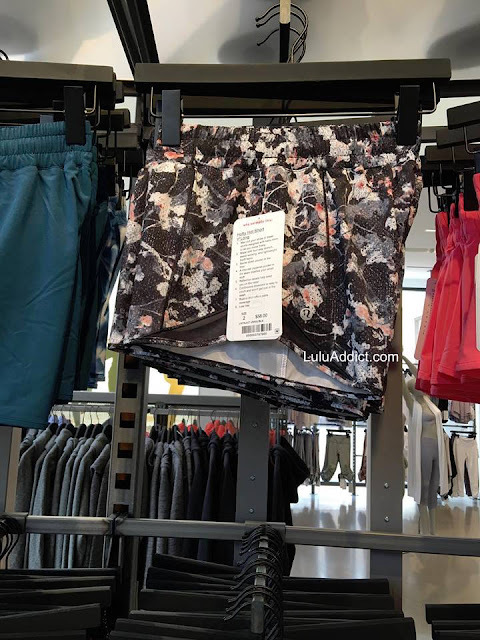 I love being able to see store photos than just website product pics. 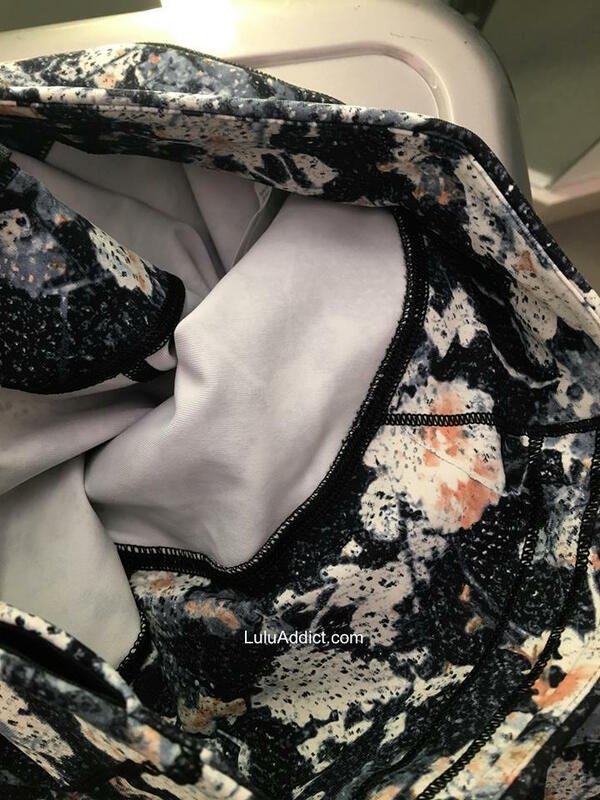 I am not a fan of prints that have dots or speckles in the background, I think it makes the print too busy and takes away from the main pattern. Not loving the slit up to the armpit on the new sweater either. I think the design team is at a loss trying to come up with new design elements on product when all they can come up with is slits. 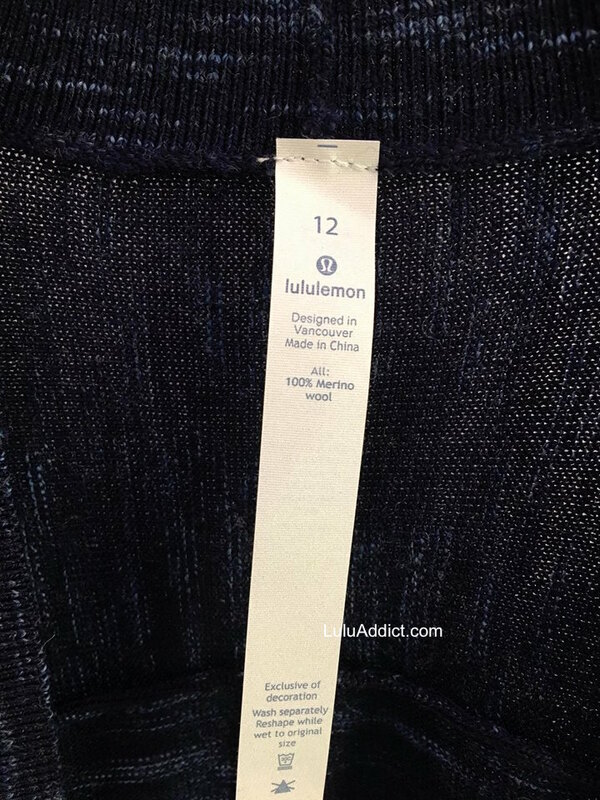 They have done this design element to death on their technical heathered luon tops, where backs are open slits or tops with side slits that all seem to end up on WMTM. Time to move on from the slit LLL. haha tomato soup, love that description! 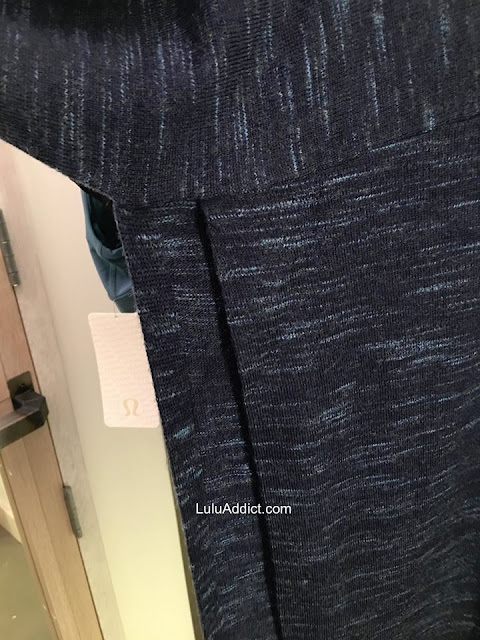 anon@5:03pm I agree about the Spring Bloom Print and the accent color. Not into rust/burnt orange. It's nice for a change for some people...just not for me. 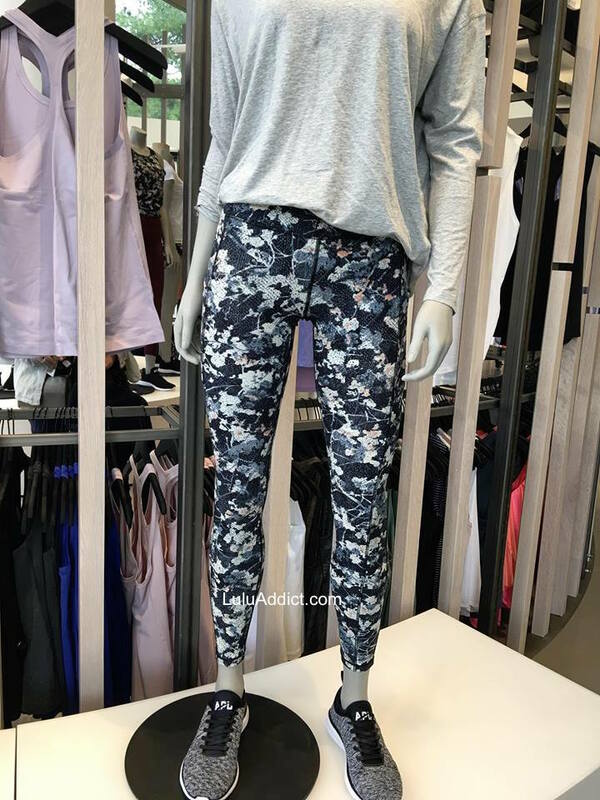 anon@5:03 I totally agree re:camo - in fact, a lot of recent prints have too much of a Camo vibe for me. When does LL typically upload to WMTM? Is there any rhyme or reason to it? I used to think it was Wednesday or Thursday every week, but it seems like it's once a month these days. 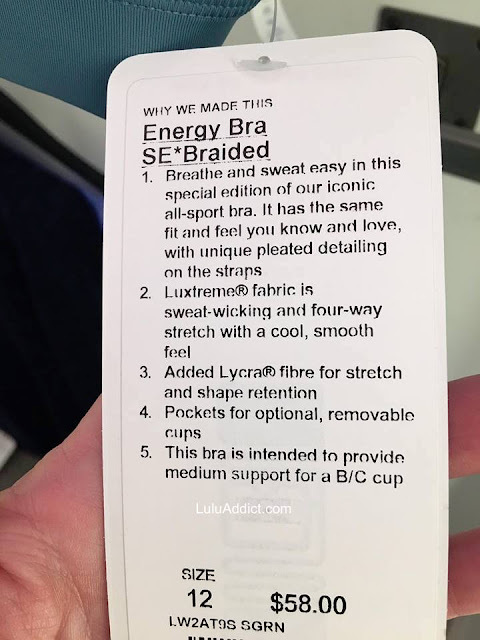 The inside stitching on the straps on the braided energy bra is awful. Considering they can't seem to keep the stitching from unraveling on their tights lately, that energy bra will be a nightmare. Not to mention there was so much of it, it can't be comfortable. Looked like chafe city to me. 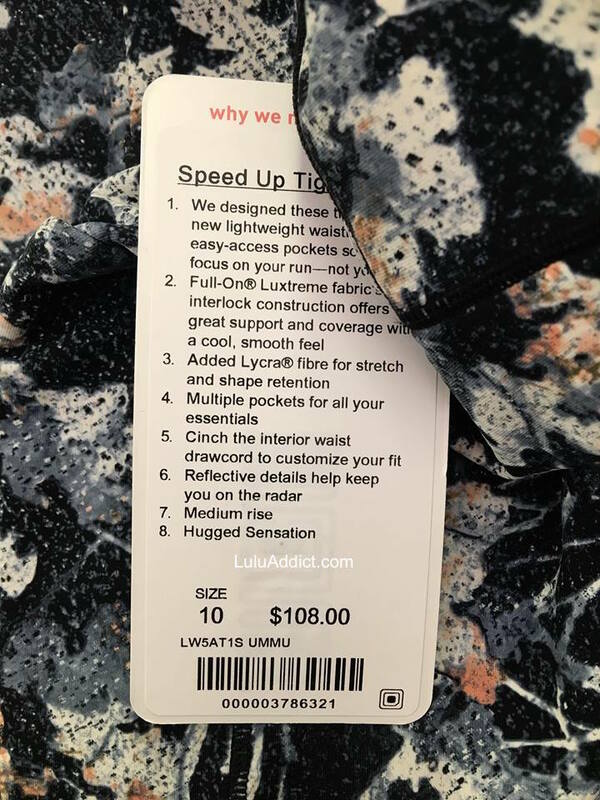 I guess I am in the minority because I tried on the spring bloom speed up pants and instantly purchased them. They are oddly neutral in person, you could wear with pinks, corals and my favorite Bordeaux drama. Can anyone advise what style this is, and if it's worth that much?